Getting on board with primary languages can seem really challenging and especially when you want everyone on the staff in individual schools through staff CPD to practise simple language, know where to find sound files to support and to try out some transferable activities using simple language. The short activities which can help to build staff confidence and also engage young learners are based around greetings and feelings , using simple greetings and personal information, colours and colour games, numbers 1-10 and games. Remember these are start up activities and they will also help teachers to develop favourite activities that can be played for five minutes when teachers have time outside of the language learning allotted time. Revisiting core language helps everyone! We understand that there is so much more that school will want to do with language learning but here is a starting point for all your staff. 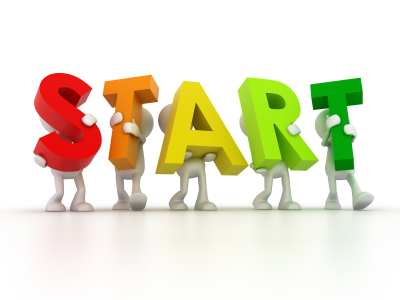 Record the individual elements and share these on your VLE and create a display called "Start Up!" where you can share with the wider community what your KS2 and teachers children have just started to learn! So how can you move on together and share good practice? Well maybe a SOW may be required that demonstrates progression over time and stages of learning .If you are a network school then you may already be accessing the SOW and if so make sure that all your staff can access the podcasts, sound files and the key word charts to support them with new language. Be aspirational and look toward making sure all four skills are practised and that the children learn with the staff about the basic grammar or the language.Be creative and keep the primary in the learning. Have a look at ideas colleagues have shared on Network News and the ways Emilie takes the simple lessons and makes something achievable and creative bonjour madame blogspot- easily transferable to German and Spanish or any target language too! When you are ready as a school then consider sequences such as these here using all four skills and an authentic rhyme . You may find the blog post about bilingual dictionaries really useful too. You may find the blog post about nouns, definite and indefinite article games really useful too.